1. It offers an opportunity to nurture and grow your business and new relationships. By building a networking business, marketers in the network cooperate and co-depend on all the members of the network. They work across social barriers to achieve their goals for the team. 2. It helps develop conversational skills and overcome social anxiety or having fear in speaking in public. Through network marketing, people are able to express themselves. It allows them to leverage their resources and time by connecting with other people who have the same interest as them. 3. It also has emotional benefits. 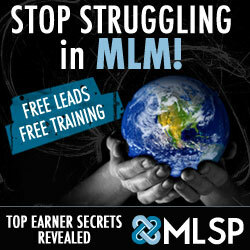 People are able to gain confidence by participating as a member of a network marketing team. They are able to know a larger purpose in life and nurture a structure to grow and strive. Therefore they are able to carry over into different aspects of their lives. 4. By having a commitment to network marketing business, it can generate additional income. Networking businessmen can develop their adapting strategies, presentation skills, and internet based strategies. This does not just help the business to grow but also the person managing his business. 5. It can also help entrepreneurs to retain customers, explain benefits of goods and services, and recognize co-branding opportunities. People are able to gain knowledge on how they should treat their clients, and promote their products or services that they offer. Consider some of the advantages of network marketing and your income will surely generate. But before you start your own network marketing business you ask some experts and those who have experienced this kind of business. You must consider some companies and existing marketing lines very carefully. In network marketing, you can become an independent distributor or consultant for any number of network marketing companies. It offers income generation as well as income replacement. Take a plunge into this kind of business. You’ll never know maybe this is your big break. Haha, shouldn’t you be crhagnig for that kind of knowledge?! Thanks Kathreen! I don’t charge…I just keep helping people win. I remember a time when I wanted to get out of Corporate America and someone taught me what I needed to know to retire from it by age 33. Now it’s my time to give back! Articles like this just make me want to visit your wibeste even more. Thanks Johnette! I hope you come back often. If I can help you in anyway don’t hesitate to message me. Stay tuned for our Project 50,000 announcement. We’re giving away for FREE 50,000 books in 2012! Very interesting, Web logging is one of many the ways people are making a killing on the Internet these days. It is better and popularly known and coined as BLOG. To better describe it, a blog is more like a personal account, diary, or an entry of a journal. It’s where one can post almost anything at any moment of everyday. Born more as a journal. People came to realize a large audience who love reading personal experiences has been attracted. Thus came the idea that blog could actually bring in financial benefits. Many successful blogger have, which is key, is to have a traffic to you site. Audience, readers and followers of your experiences, and your blogs juicy information. Thank you for reading my blog, I really appreciate it! I hope it helps and if there is anything I can do to help you, don’t hesitate to send me a message. I’m new to blogging. I started the first part of December because I had so many people tell me that I should share my knowledge. My wish is that we can continue to promote Entrepreneurship! What projects are you working on for 2012? Interesting Thoughts, Last night was a tough night. My oldest has a concert (singing). I have a new born (5 days). That makes every night an adventure. Anyway, I had to DVR Ward/Froch. I did watch it with a 30 minute delay. I saw the entire fight and the reading of the cards, but the recording ended before the in-ring interviews. I would appreciate a link.